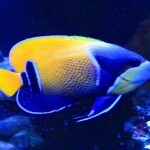 The below profile is on another one of the interesting tangs that I have kept. This information Hippo Tangs is based on what I have learned and observed. 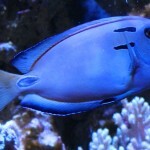 The hippo tang has the typical oval shaped body, just as with most other tangs. 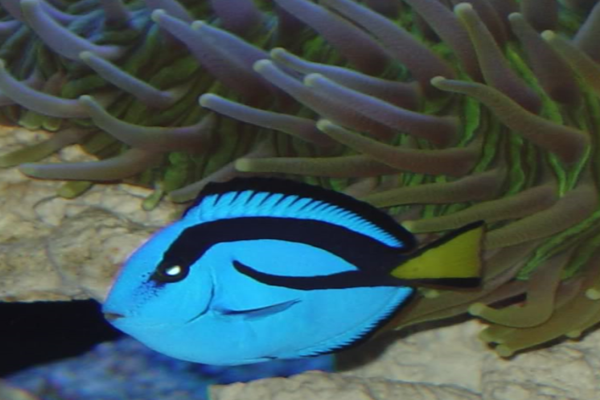 Its body is a very vibrant blue color with black markings on their sides and a bright yellow tail. 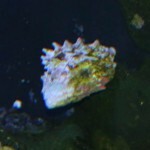 The below pictures are of the hippo tang that have kept for some time now. I got him as a young fish about 1 inch in size. He is only now starting to get close to his adult size. Right now he is about 7 to 8 inches. Hippo tangs can become semi-aggressive when kept with other tangs of a similar shape, size, and color to them and can also become aggressive with other hippo tangs in the same aquarium. 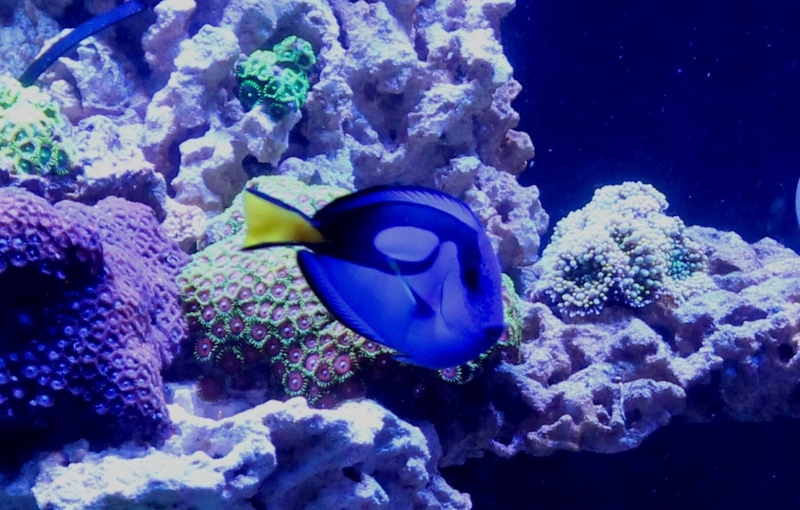 This behavior can actually be fairly common with most tangs. 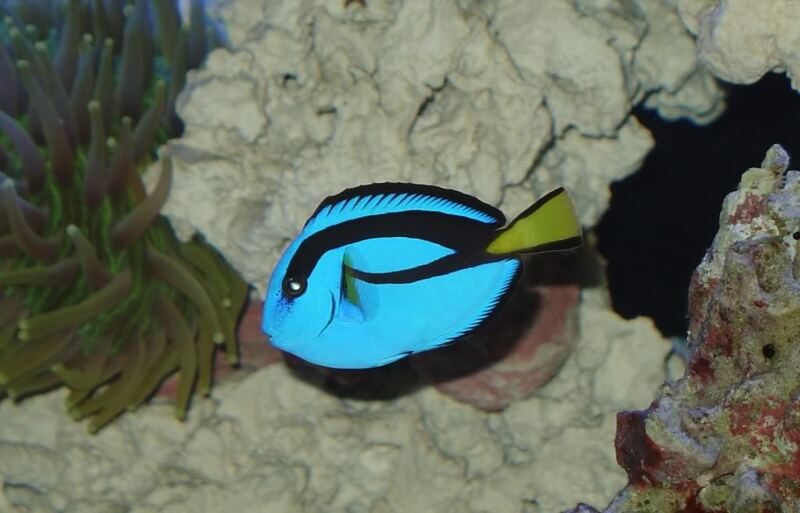 The hippo tang however is a great fish for a community tank as they will peacefully co-exist with any other types of fish. They are also completely reef safe. 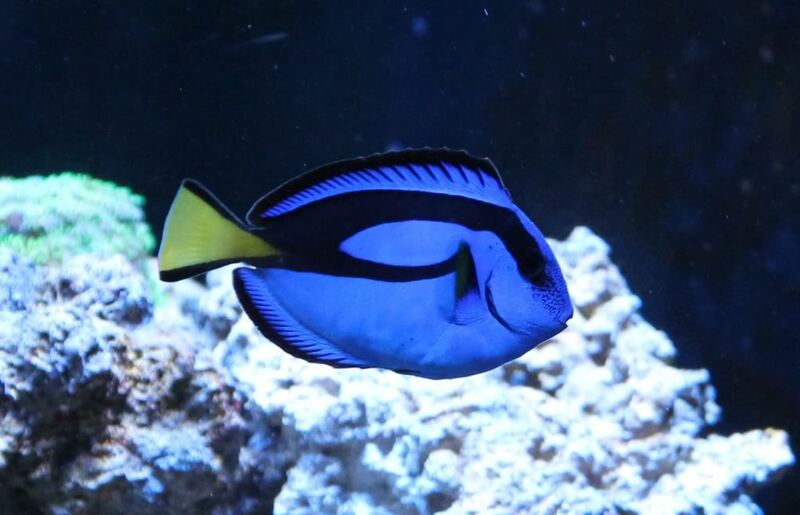 The Hippo tang would to best in a tank size of 125 gallons or more (180 gallon would be best). The reason for that recommendation is not only based on their average adult size of around 10 inches (give or take), but on their typical behavior as well. 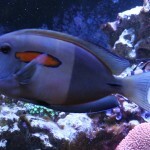 They are a very active fish requiring a lot of open swimming space in the tank. This makes the hippo tang a very entertaining fish to have in a properly sized set-up. The Hippo tang will require suitable hiding spots so they can claim one as their own. 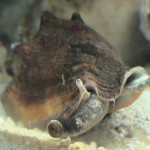 It is typical for a Hippo tang to find a spot they can hide in among the aquarium live rock and go there whenever they get spooked, scared, or stressed. The Hippo tang really needs this “safe spot” to go to or they can become even more stressed reducing the effectiveness of their immune system and making them more susceptible to disease or parasites. When a Hippo tang becomes stressed and doesn’t have a hiding spot to swim to, they have been known to sometimes “play dead”. 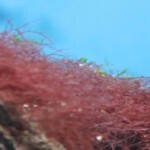 They will lay on the bottom of the aquarium almost completely motionless until they feel it is safe to move again. Keep in mind “playing dead” is no substitute for them having a safe spot to go to. I had observed my Hippo playing dead when he was still at the store and once when he was in my quarantine tank before he found a suitable hiding spot to go to. They certainly can be one of the more “flighty” tangs. I would always recommend making the Hippo tang the first larger fish you add to your tank so they pick their hiding spot first making it a little easier on the hippo tang while he gets used to his larger tank mates. As with most tangs, the hippo tang will accept almost any food you may offer it. 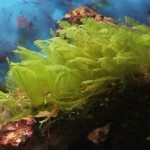 However, they are herbivores and will require a diet consisting mostly of sea algaes with some other verities of food on occasion. 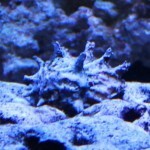 A good quality flake or pellet food meant for marine herbivores is also a good option for the Hippo tang’s main diet. I have read about people offering lettuce to Hippo tangs as a part of their diet. I would not recommend this practice. 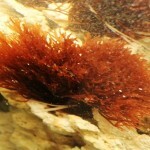 Although the hippo will eat it, lettuce will not offer the same required nutrients as compared to marine algaes.